Marketing your blockchain project or startup brings many challenges, but blockchain conferences that focus on marketing or contain a marketing track can be a resource for new ideas and proven methods to help you see results. 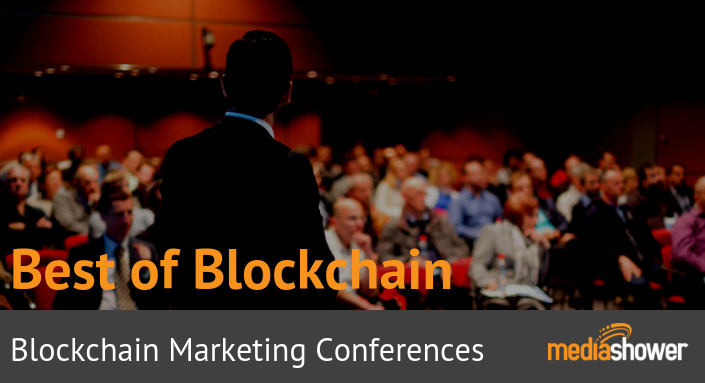 Here are some of the top blockchain marketing conferences in 2019, rated and reviewed by Bitcoin Marketing Journal. Seattle, WA, USA $325 200 TF Blockchain is not your typical Blockchain Conference. Established in 2018, it focuses on advanced level blockchain topics while providing dedicated and intentional networking opportunities, providing the perfect opportunity to meet your next investor, business partner, employer, or colleague. If you are an innovator, change maker, policymaker, or leader in the blockchain or digital currency space, Token Forum is for you. Los Angeles, CA USA $699 500 A high-end, Security Token & Digital Securities focused event established in 2019, its agenda includes a variety of themes such as custody, compliance, regulation, investing, marketing, tokenization, standards, issuance, and real estate. The summit is limited to 500 attendees and features over 40 speakers. Dubai $0 10,000 Established in 2019, Seamless Fintech will not only bring together the entire G2B/C, B2B and B2C BSFI eco-system of investors to discuss, debate, and evaluate an international showcase of new bleeding edge products and services, but will also tackle the biggest challenges and opportunities in the industry such as driving financial inclusion, digital banking, utilizing technologies with the greatest potential such as blockchain, RoboAdvisors, WealthTech, RegTech, InsuTech, A.I., customer experience, and engagement. Taipei, Taiwan $295 Unknown The summit, established in 2017, connects global blockchain gurus and technology players in the blockchain space including emerging startups with regional businesses, government authorities, IT leaders, tech entrepreneurs, investors, and blockchain developers. It features enterprise use-cases, government use-cases, inspirational keynotes, panel discussions, tech-talks, blockchain exhibition, startup pitch competitions, and a host of networking opportunities. New York City, NY USA $699 10,000 Professionals from leading industry startups, investment ﬁrms, ﬁnancial services giants, global brands, academic institutions, and policy groups will return to New York for this conference established in 2015 to discuss the evolving real-world applications of blockchain technology. Consensus will feature three days of demos, networking, and expert discussions regarding the most important commercial developments, technical innovations, and public policy issues. Malta $115 8,500 The world Blockchain conference will connect global thought leaders, policymakers, investors, and blockchain crypto startups from all over the world for a 3-day top content event. Non-collocated with any other events, the Forum is 100% dedicated to blockchain and its revolutionary impact on each sphere of human activities. It will feature inspirational keynotes, panel discussions, workshops including AI&BC for Entertainment and Marketing, fire-side chats, an investors’ hub and a host of networking opportunities. Speakers will include some of the world’s most renowned thought leaders and global transformers. London $0 5,000 Blockchain Summit London is a 2-day conference and exhibition established in 2017 that is dedicated to the business of blockchain and distributed ledger technology (DLT). Based on unrivaled content including marketing topics, 200 visionary speakers, and exceptional networking opportunities, Blockchain Summit London is a must-attend event to understand the challenges and opportunities of our blockchain future. Singapore TBA 1,500 Blockchain Summit Singapore is a 1-day conference and exhibition established in 2017 that connects over 1500 industry leaders, business decision makers, tech innovators, and investors. Based on unrivaled content including marketing topics as well as exceptional networking opportunities, Blockchain Summit is the largest dedicated Blockchain Event Series in the world. No co-located side events. A purely Blockchain-focused audience. Malta TBA 8,500 In 2018, Malta launched Three Bills during the Malta AI & Blockchain Summit. In 2019, the Maltese Government will enact another world first: a Fourth Bill, giving a D.A.O. its own legal personality. In addition, a task force is also working around the clock on a set of incentives that will support businesses in Artificial Intelligence. The summit will include marketing topics. Attending a blockchain conference can be a good opportunity to learn about blockchain marketing as well as network with others about your blockchain project. Download our ICO marketing spreadsheet for more information about cutting edge blockchain marketing techniques.